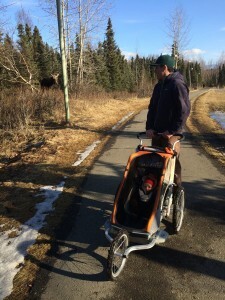 Moose sighting along the Chester Creek Trail. Photo by Monica Gokey. The next Outdoor Explorer is dedicated to our city’s centennial. We’ll hear the stories of how we got the greenbelts, bike and ski trails that are the defining characteristics of Anchorage.